The event is 3 days long. I went to the event on the 2nd day for buying the concert ticket on the last day. 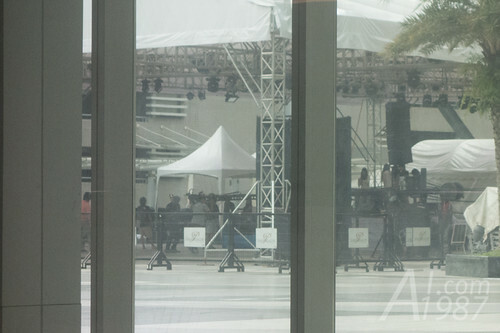 The girls had a small rehearsal while I waited outside the Siam Paragon. After I got the ticket. I went to the event panel for YumeAdo meet & greet event. 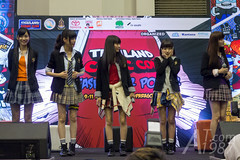 Thai fans were so pleased when the girls introduce themselves in Thai. In the Q&A part MC began with the standard questions like what do you think about Thailand ? 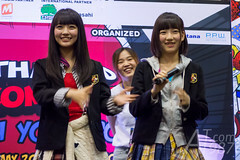 Karin answered Thai people she met are nice wherever she went. The other question is where do you want to go in Thailand. Kyouka said she want to try Thai food in the good restaurant. Moved to group related questions. 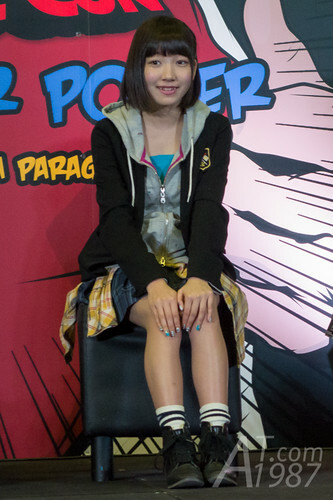 Is the real Karin personality like Akiba Yellow she portrey in Hikonin Sentai Akibaranger ? 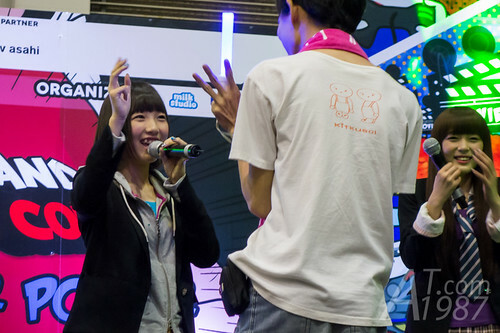 Karin did her henshin on stage before answered I am a little funny like Akiba Yellow but Akarin is the closest. Because she is funny and also like manga and anime. 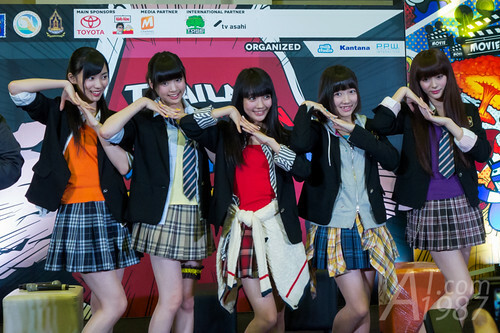 I think the organizer asks YumeAdo to participate this event because Yumin plays the heroine in Kamen Rider Gaim. So she was asked how’s the feeling to get this role. She is happy when she gets this role. The lucky guys were chosen from the audience to have a handshake with members. There were also the lucky draw at the end of the event. The prize were T-shirt, single CD and the poster signed by members. 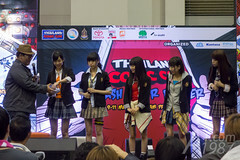 Thai fans had the present to surprise YumeAdo too!